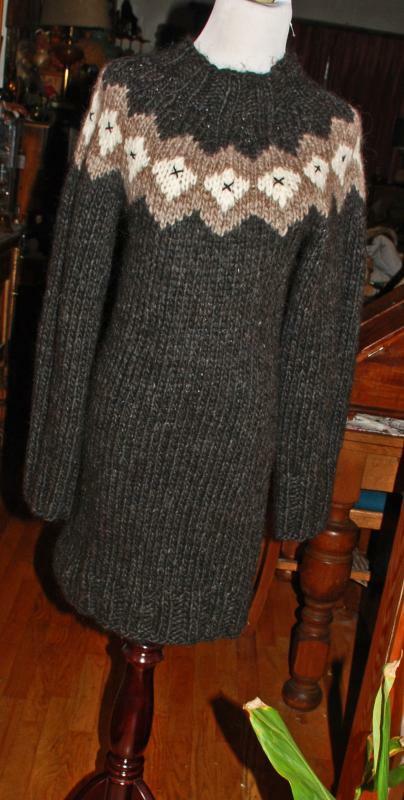 Icelandic Wool Hand Knit Sweater Dress or long sweater. . 100% Icelandic Wool. 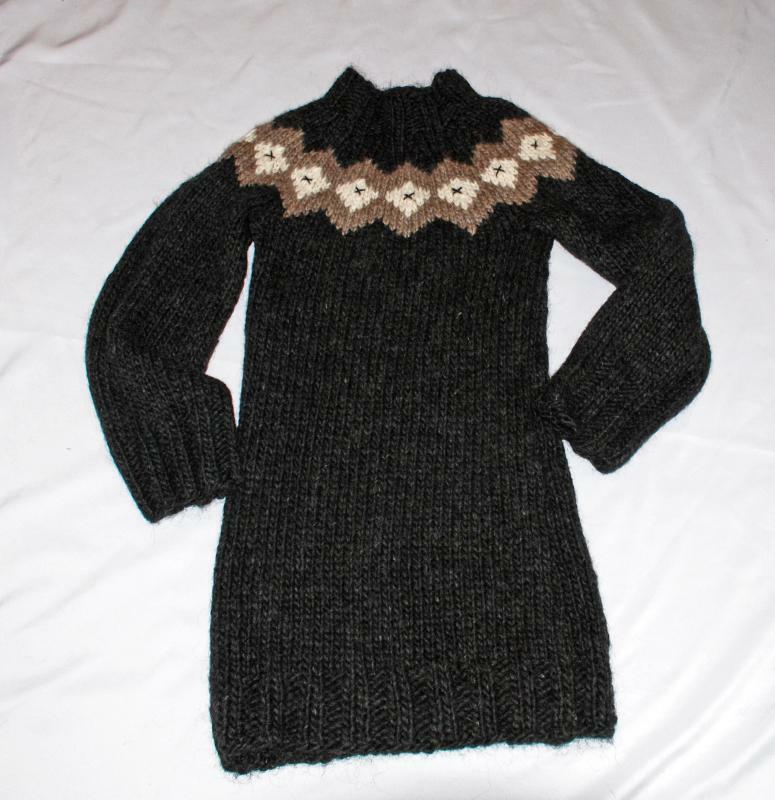 It was purchased several years ago from the maker in Iceland . It is extremely warm and very thick. The wool yard is fat and somewhat fuzzy. Has a off white and grey yoked detail that is on both sides. It is a small to medium. 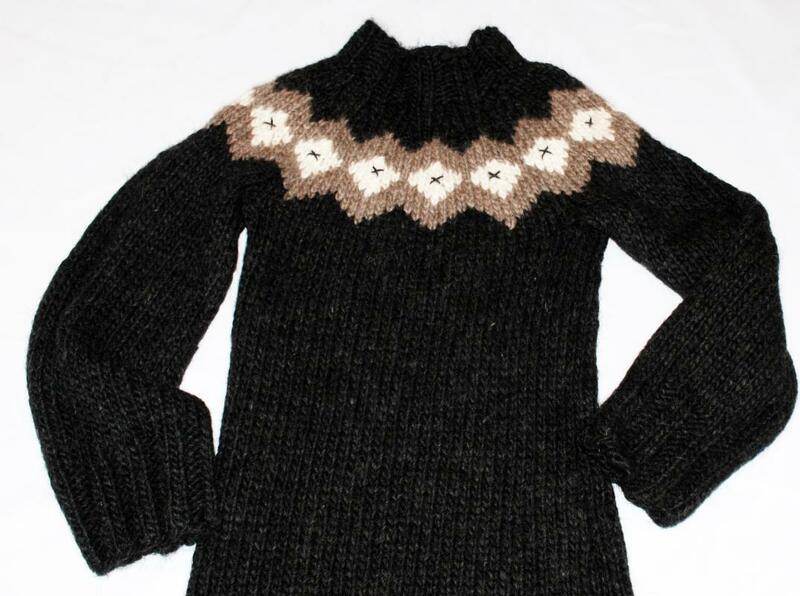 Here are some basic measures with the sweater lying flat.